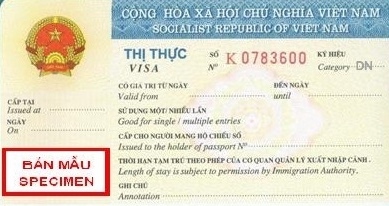 As the new regulations went into effect in January 2015, there are about 20 different types of Vietnamese visas including DL, DN, NG, LV, DH, HN, PV, TT, VR, SQ ..ect. A sample of a business visa categorized under DN. Note: Visa on arrival is good for tourism purpose only, you may not be able to get other types of visa with this method. I am visiting Vietnam for a business conference, what type of visa do I need to apply for? You can either apply for a DN visa or HN visa as in the chart above, both will work for your purpose of visit. I plan to open a business in Vietnam, which visa category is appropriate? NA 16 form for seal registration and the director sign.